CHICAGO (WLS) -- A passenger onboard a Chicago-bound flight was removed from the plane for allegedly making a joke about opening the emergency exit door mid-flight. 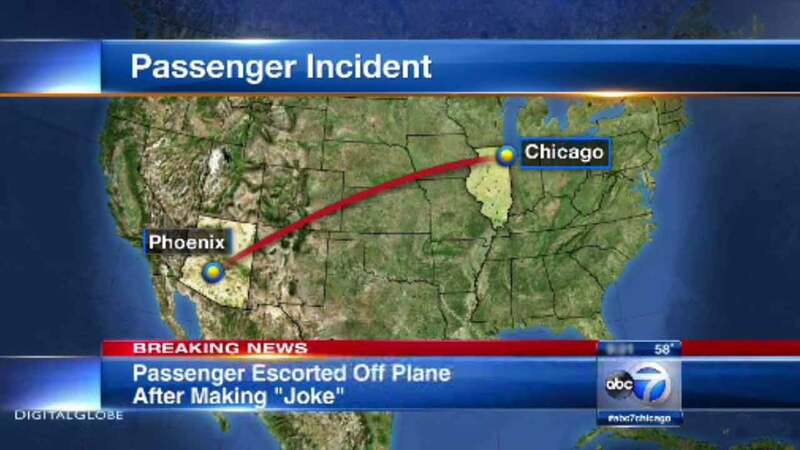 The American Airlines flight from Phoenix landed at O'Hare International Airport about 6 p.m. Sunday night. Chicago police escorted the man off that plane before officers interviewed him and several witnesses. Authorities determined there was no credible threat and the man was released without charges.